Have you ever wanted just one glass of sun tea? Not wanting to go through the trouble of making a GIANT thing of it. Well, just make one for you. Grab a mason jar fill it with water and throw it in the sun. 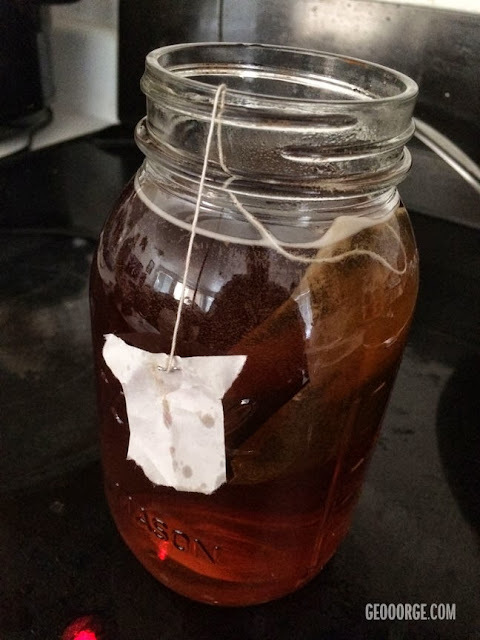 The good thing about using a normal sized tea bag is that it will flavor smaller amounts of water faster. So, while you aren't having to make as much, you aren't having to wait as long either!